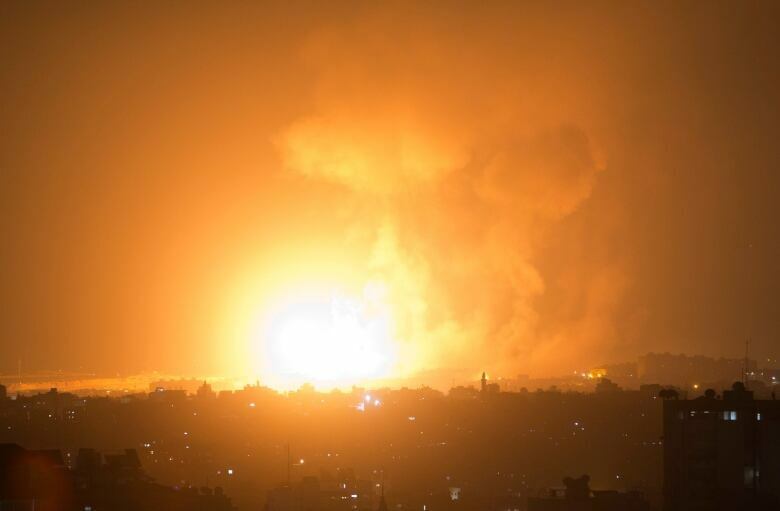 Israeli warplanes struck dozens of targets in the Gaza Strip and three people were reportedly killed there, while Palestinian militants from the territory fired scores of rockets into Israel in a fierce burst of violence overnight and into Thursday morning. The flare-up comes as Egypt is trying to broker a long-term ceasefire between the two sides. At least three Palestinians died — a pregnant woman, her one-year-old daughter and a Hamas militant, according to the Gaza Health Ministry. 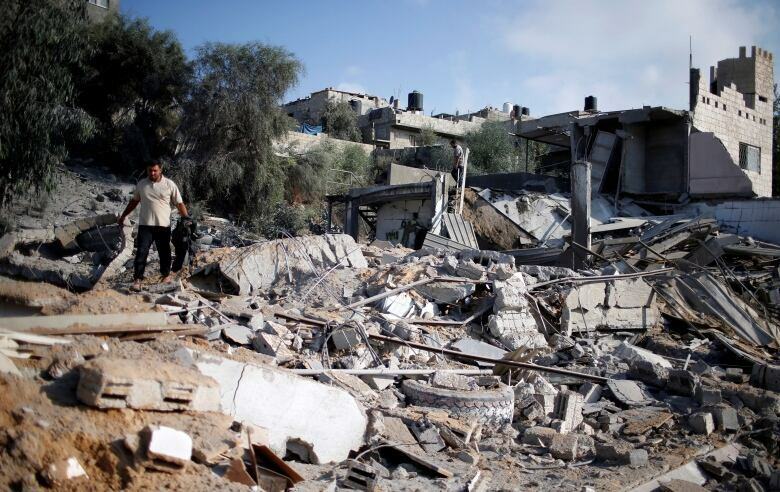 Israeli and Hamas officials both threatened a further intensification of hostilities. The UN's Mideast envoy appealed for calm. Air raid sirens signalling incoming rocket fire continued in southern Israel on Thursday morning, raising the likelihood of further Israeli reprisals. Israel and Hamas have fought three wars since the Islamic militant group seized control of Gaza in 2007. Despite the animosity, the enemies appear to be working through Egyptian mediators to avoid another war. But the continued outbursts of fire have jeopardized those ceasefire efforts. On Tuesday, the Israeli military struck a Hamas military post in Gaza after it said militants fired on Israeli troops on the border. Hamas said two of its fighters were killed after taking part in a gunfire parade inside a militant camp. The incident occurred while a group of senior Hamas leaders from abroad were visiting Gaza to discuss the ceasefire efforts with local leaders. Lt.-Col. Jonathan Conricus, an Israeli army spokesperson, insisted Israel only targeted Hamas military targets in Gaza. The military said it intercepted some 25 rockets, while most of the others landed in open areas. Israel said it launched airstrikes targeting rocket launchers, weapons stockpiles, tunnels and other Hamas infrastructure. Yoav Galant, Israeli cabinet minister for construction and housing, said that "whatever is needed to be done to defend our civilians and soldiers will be done, no matter what would be the price in Gaza." Nickolay Mladenov, the UN special envoy who is involved in Egyptian efforts to broker a truce, said in a statement on Thursday that he's "deeply alarmed" by "multiple rockets fired toward communities in southern Israel" the day before. Mladenov warned "if the current escalation, however, is not contained immediately, the situation can rapidly deteriorate with devastating consequences for all people." The Hamas official, speaking on condition of anonymity because he was discussing classified negotiations, said that ceasefire talks were in their final stage but that disagreements remained. He said Hamas is demanding the complete lifting of the Israeli-Egyptian blockade, while Israel has offered only to ease the restrictions.